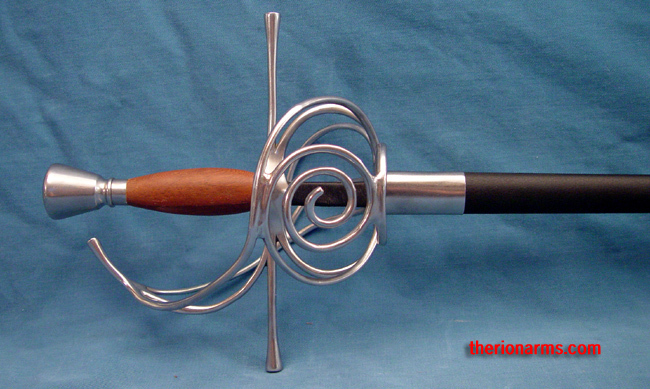 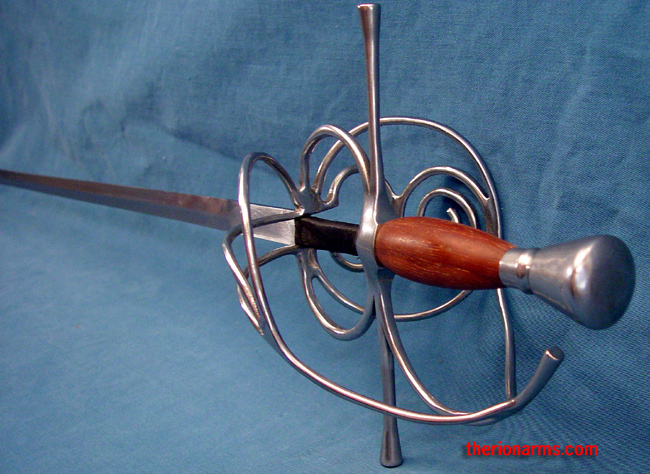 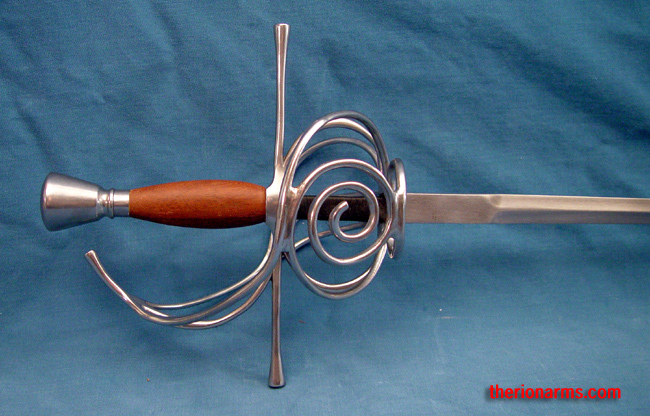 Swept hilt rapiers trace their origins to late 16th century Europe, where swordplay with The Rapier was considered an essential part of a gentleman's education and was often used in resolving disagreements. 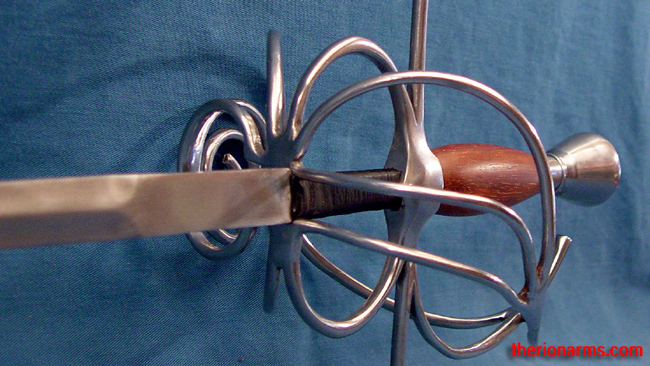 Blades generally originated in one of the blade making centers such as Toledo or Solingen, but many differences in styling and hilt materials resulted from the local manufacture of hilts all over Europe. 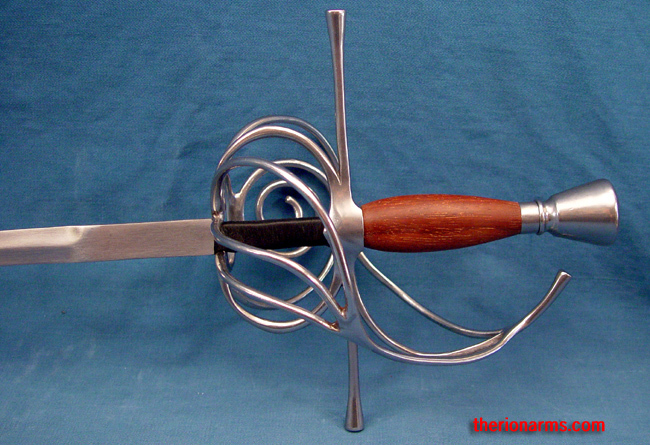 This excellent reproduction features a well-balanced high-carbon steel blade, a solid steel guard, and a hardwood grip. 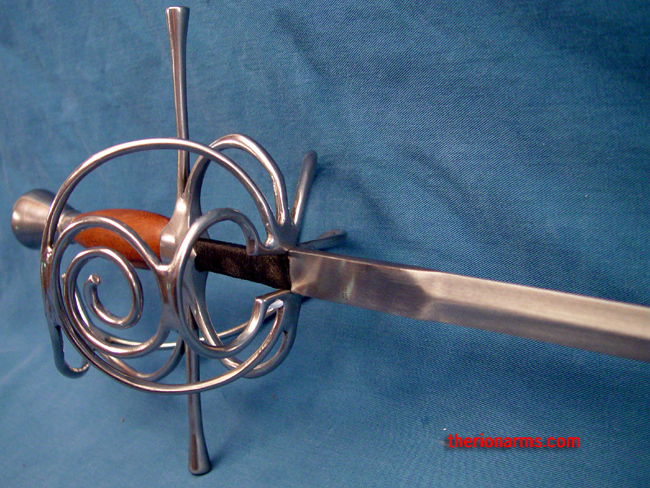 The rigid scabbard is leather-covered. 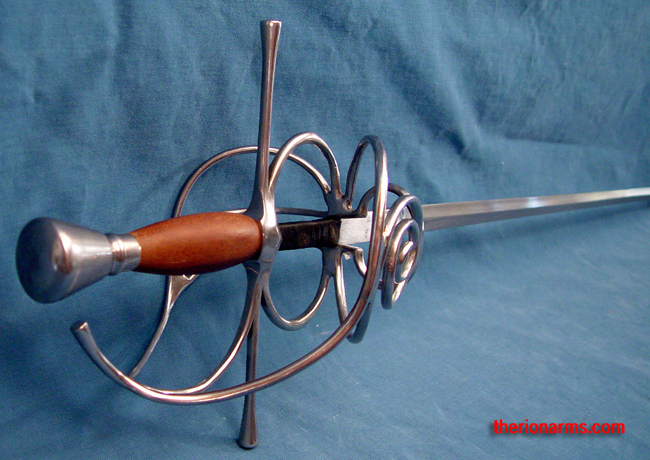 Also available is a separate blunt/rebated rapier blade that fits in this hilt and gives you a full sharp-or-blunt training weapons system, as well as a matching main gauche.